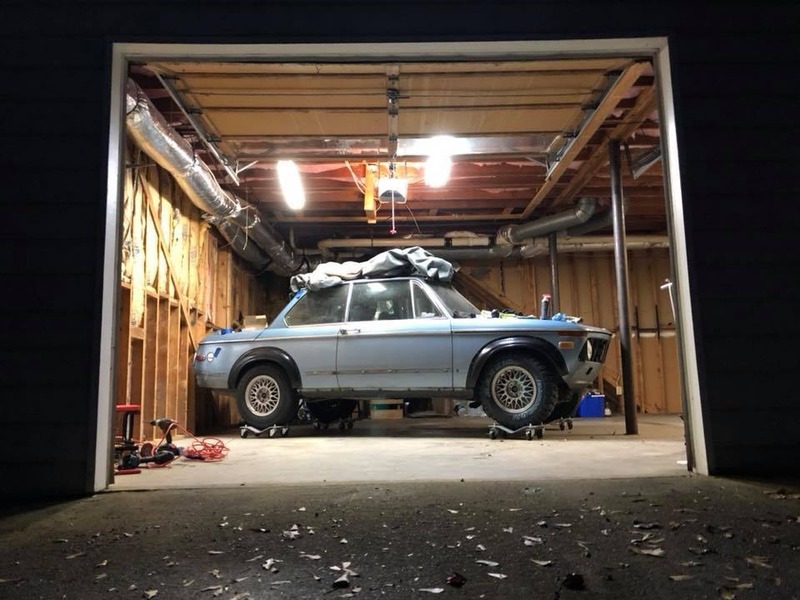 For the past few years I've been slowly building a Safari Rally style 2002. 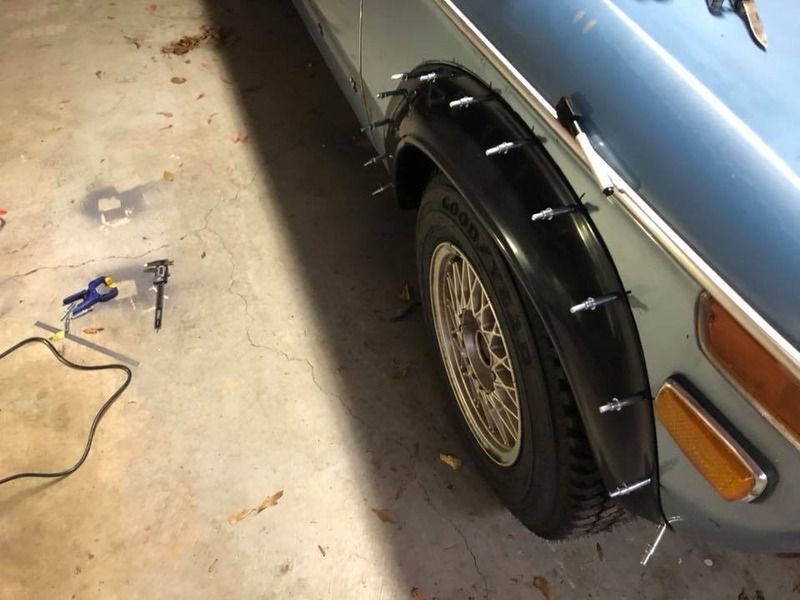 It appears that someone has spotted it locally when I took it out last weekend and was curious about it so I'll post some pics of what I've done so far and will update it as I continue. 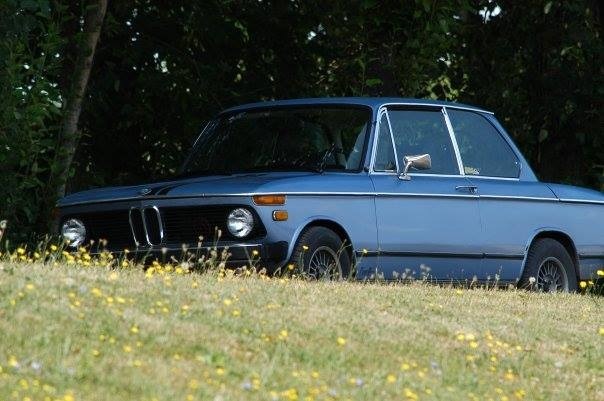 To start of with a little history, this was my first car which I got around 2006-2007. 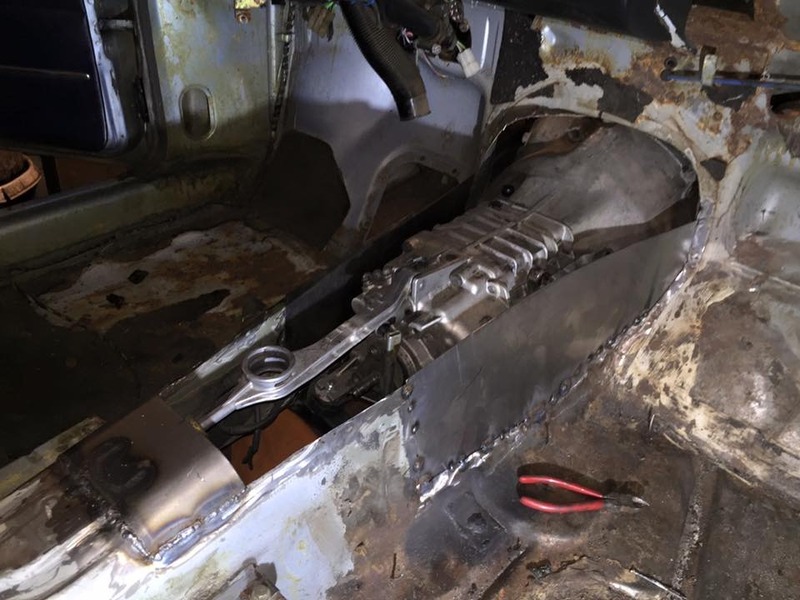 It came from California and had been in some sort of impact with a curb so the frame and front subframe were bent. That was fixed as best I could with my uncle at the time. I drove the car throughout highschool and part of college. 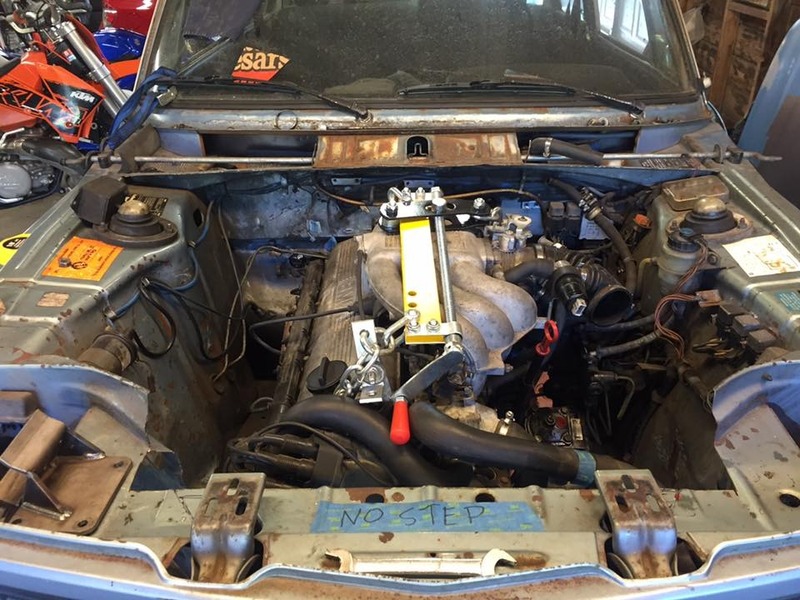 At that point I started to have engine issues so I pulled the motor with the intention on rebuilding it. The motor sat for 5 years in my closet and I did nothing with it. 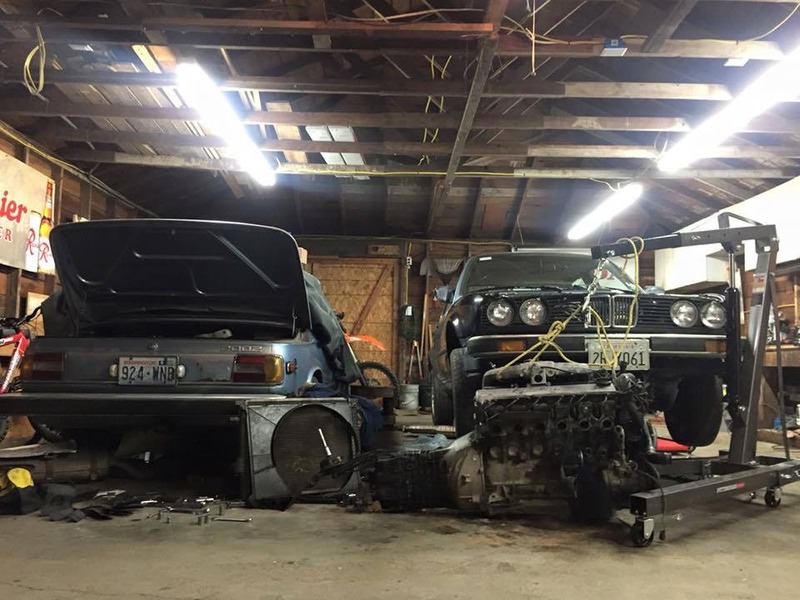 In 2016 I decided I finally made up my mind that I would do an M20 swap with the help of my roommate at the time. In the back of my mind I had always thought it would be cool to have a rally car. I've always been a fan of the cars that ran the East African Safari Rally in the 70s and 80s with bigger tires, lifted suspension, big bumpers, big lights, etc... From my research it seemed like plenty of 02s have been used for rally over the years but it's mostly tarmac or lighter gravel stages, nothing like the sort of terrain in the Safari. I did fine one picture of a 02 at this event in the early 70s but it looks rather stock and I knew I'd have to go bigger. The whole idea for the project was meant for me to learn. 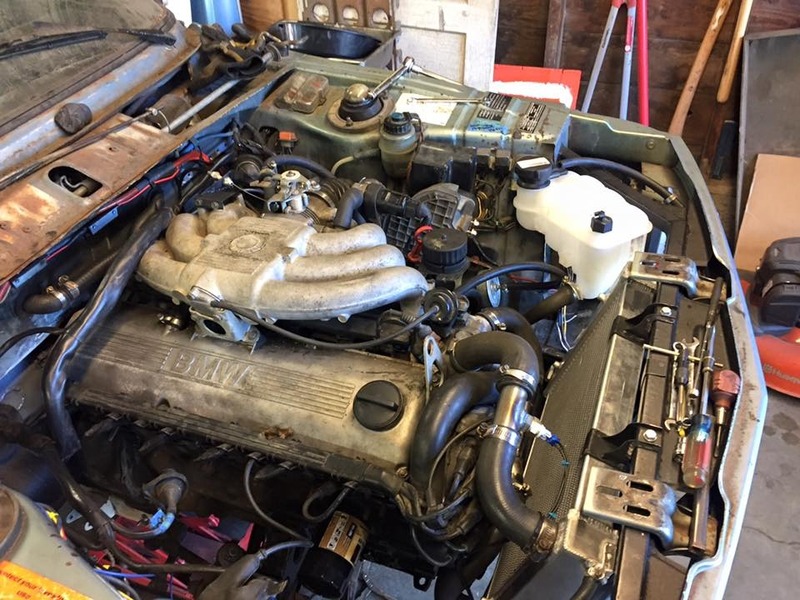 I had never done an engine swap before, nor did I really know how to fabricate or weld, so it was all going to be new experiences. I'm just trying to do everything to the best of my own abilities at the time. 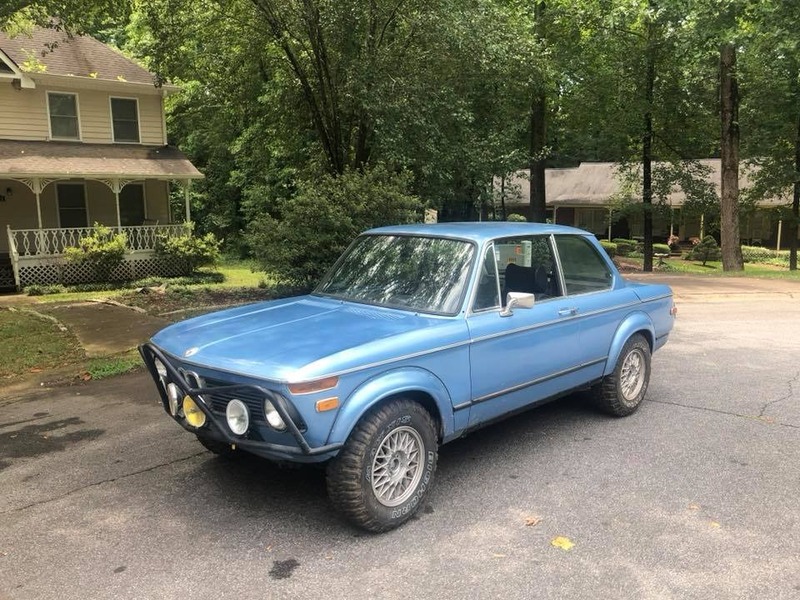 I caught a glimpse of your car on the atl area 02 page. It looks awesome man. Definitely post up some more pics! The car as I had it originally. Cut the nose panel out. You can see here one of the engine mounts I had bought for the conversion. These ended up not working for me, possibly because my frame is still slightly bent, and possibly because they were made incorrectly. 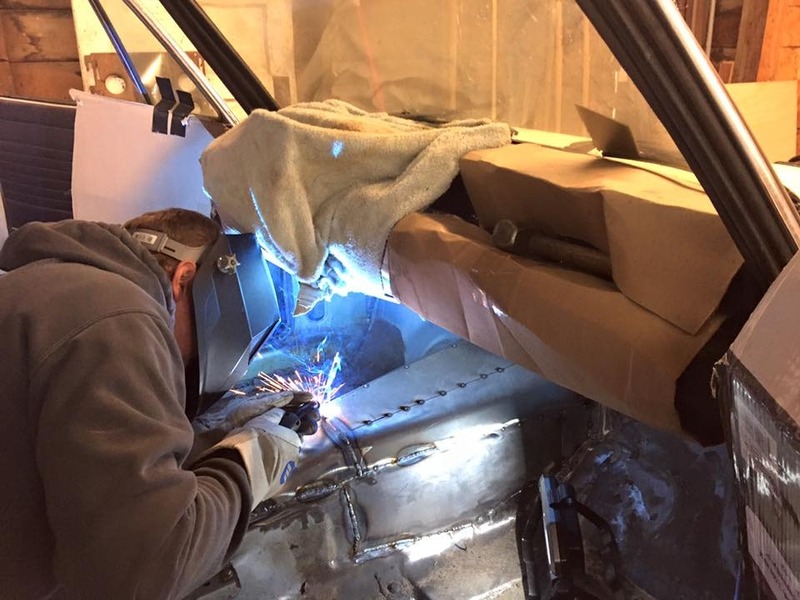 I ended up modifying the E30 mount bracket for the passenger side and using a different mounting location on the subframe. 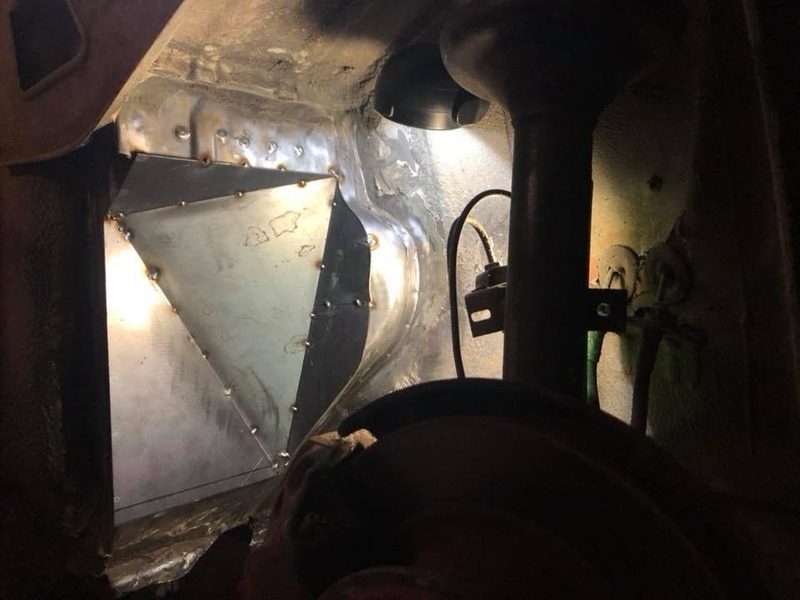 For the drivers side I used the mount I bought but I had to heavily space the bracket out from the block to get the engine to sit the correct way. The G260 required a new tunnel to be made. 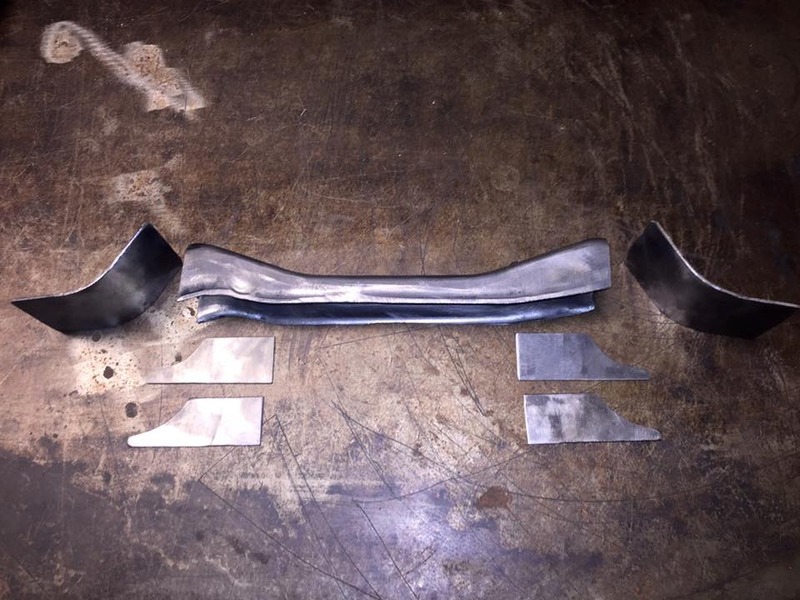 I'm very inexperienced at sheet metal bending so I tried to make it in several flat pieces instead of one. 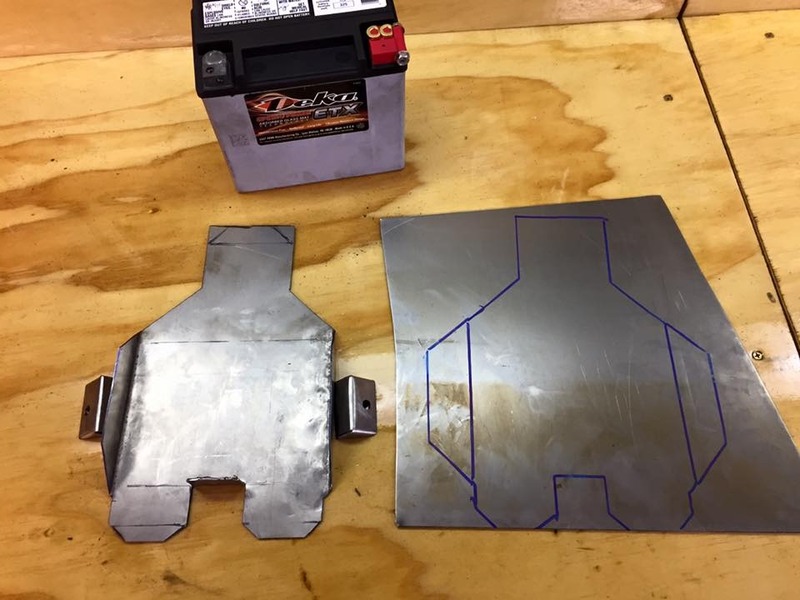 At the time, I also really didn't know how to weld so I would try to tack things together and then have my roommate come weld it up for real later. 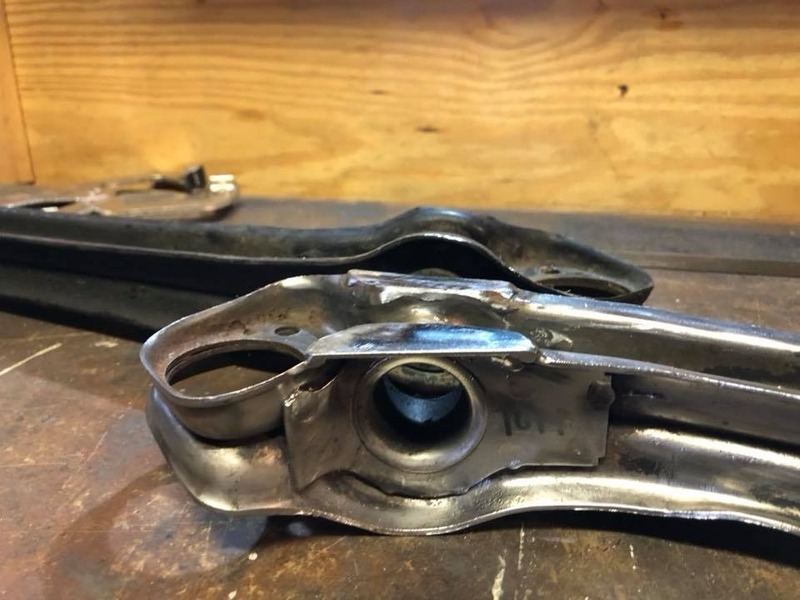 Shortened shifter linkages. 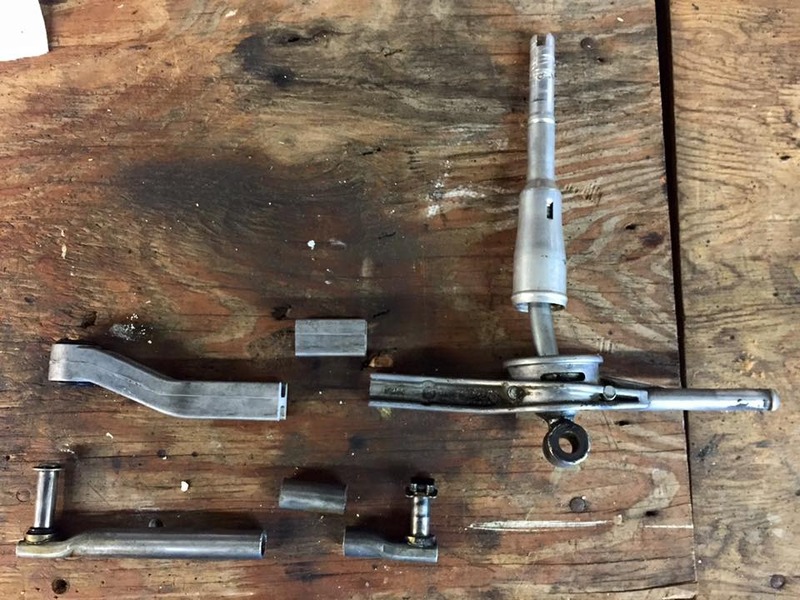 I guess I didn't really like where the shifter was going to be with the stock length. However, the feel is pretty sloppy now and I think I maybe did not make the right choice. 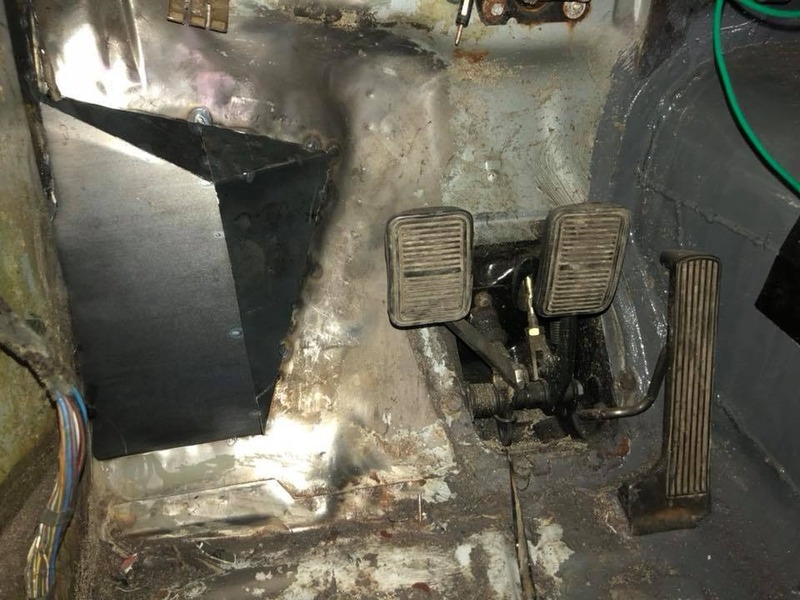 The car has no rust, but for some reason the top of the tunnel underneath the parking brake was completely torn up so I had to make a new section, The original piece looked like something you'd find on a WWII plane wreck! Making fun looking mounts for the top of the radiator. I'll have to re-do all of this because this random radiator is way too small for this engine now. It worked for getting the car running and such, but it's not up for much real driving. 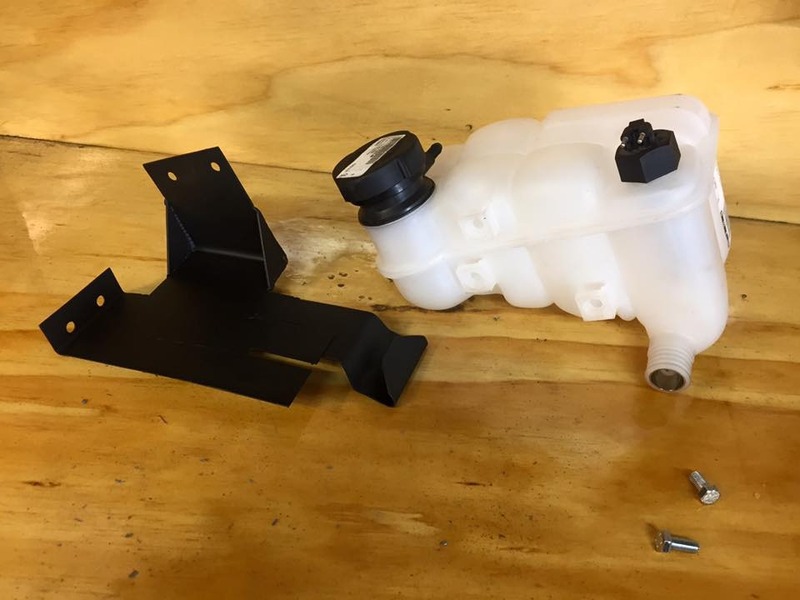 Bracket for expansion tank mounted in the nose near the headlights. 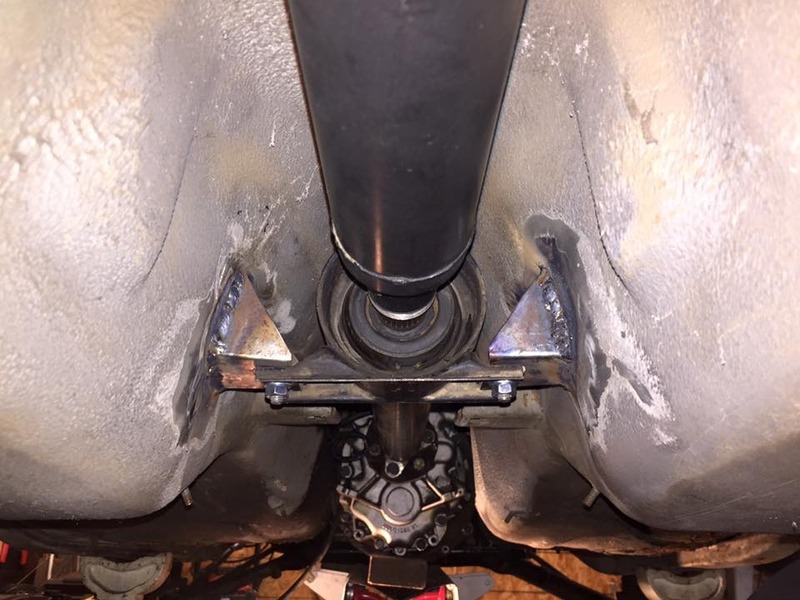 Cut up the stock e30 transmission mount bracket to fit into the 02. This bolts into new studs I added to the underside of the floor. 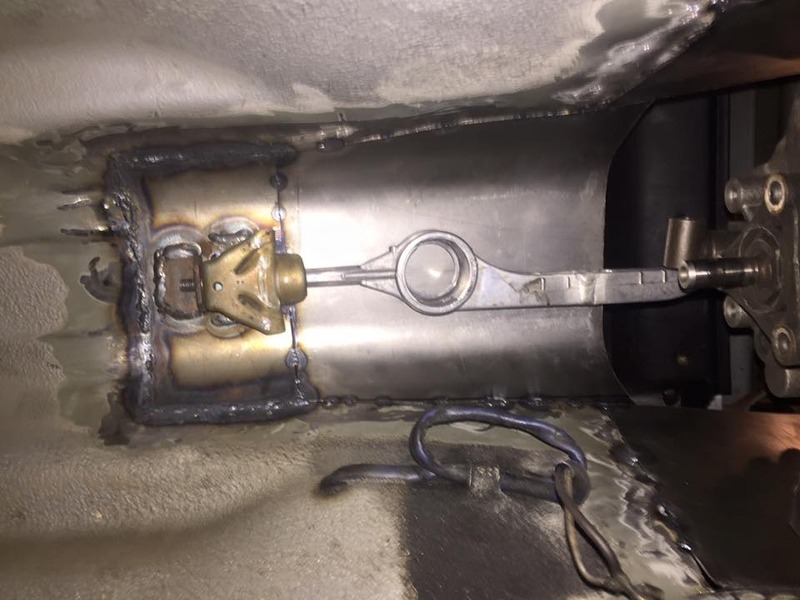 I tried to emulate how this rear gear selector support clips/bolts in to the tunnel. Overall I think this isn't a great system and plan to re do this section in the future. 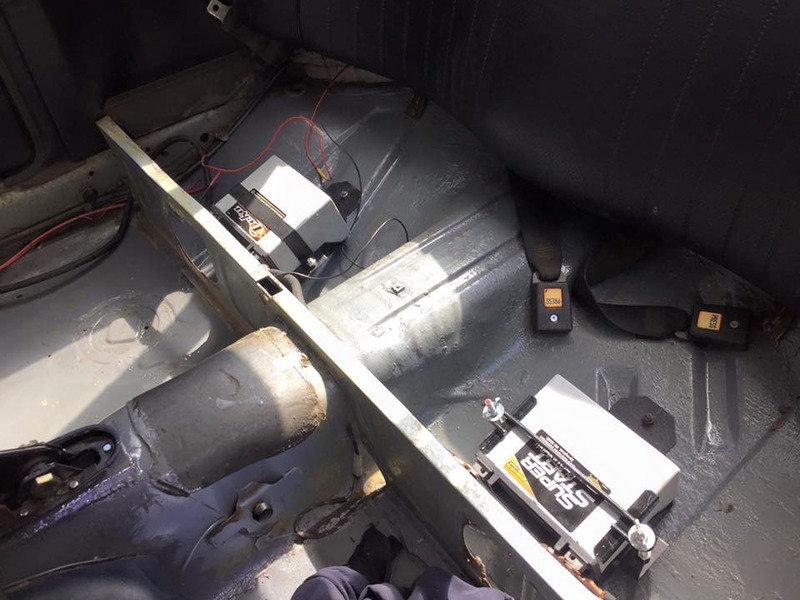 Battery bracket for twin AGM motorcycle batteries under the rear seat. 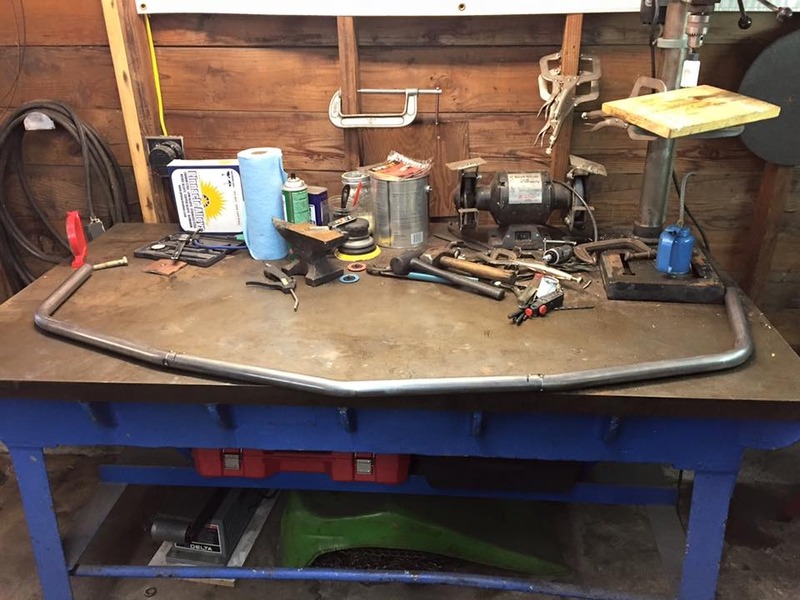 The completed front bash bar with lights. 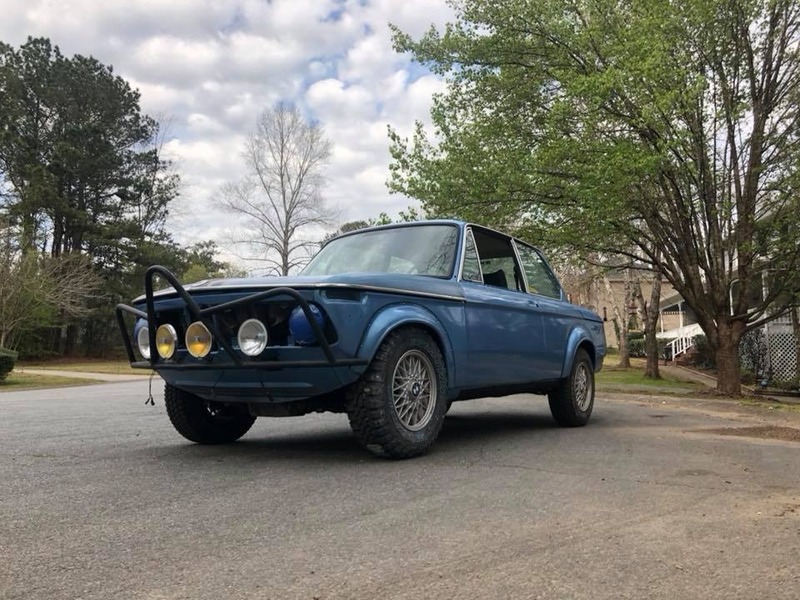 Even though at this point it looked a little weird with this bumper and still the tiny wheels and fenders, It was enough to know I had to commit and go all in. It uses shortened original bumper shocks for the mounting system in the stock location. I can remove the two large bolts and slide the thing on and off pretty easily. First off let me say that the wheel wells on the 02 are TINY compared to anything else of the era. This made finding a tire and wheel combo a huge pain. I wanted something that was tall and had an aggressive tread made for rocks/mud but there are no options out there for a 13" wheel and very few for a 14". 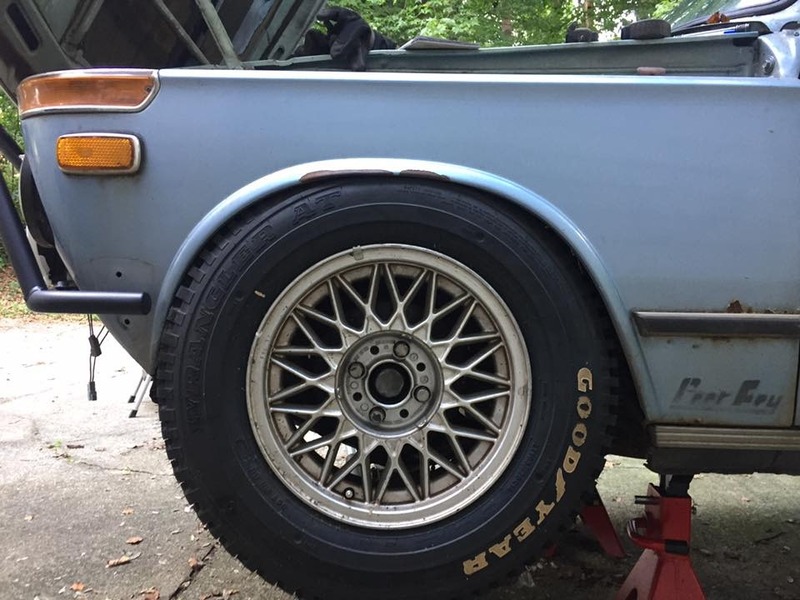 Going up to 15" gets some better options but they start getting too wide or too tall, and I honestly don't like the larger wheel size look on these cars. As you can see, this Goodyear Wrangler 195/75r14 is barely fits in the stock wheel wells when straight and definitely can't turn at all. At first I settled for these tires as it was the only truck type tire I could find. It wasn't really what I wanted and didn't look cool enough but there wasn't much I could do. The rear was a bit easier. 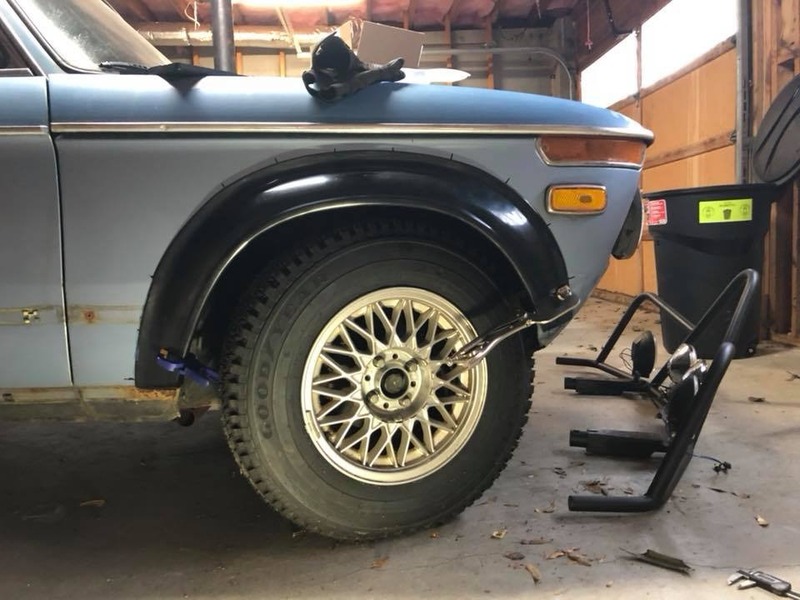 I could tuck the tire all the way up to the compression limit of the suspension and not hit anything. Still, I wanted something bigger and knew that I couldn't stick with the stock fenders. 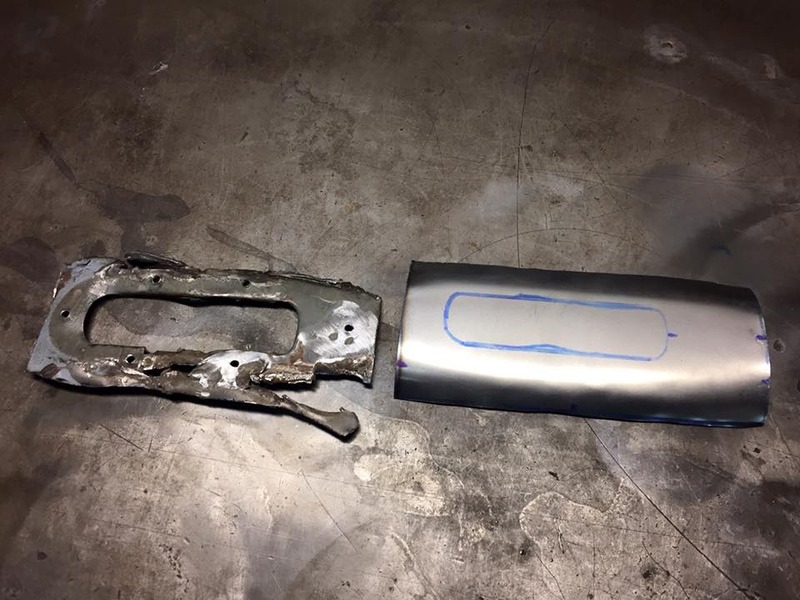 My welding of the inner and outer fender panels in the rear went pretty sloppy but it's sealed up fine now. 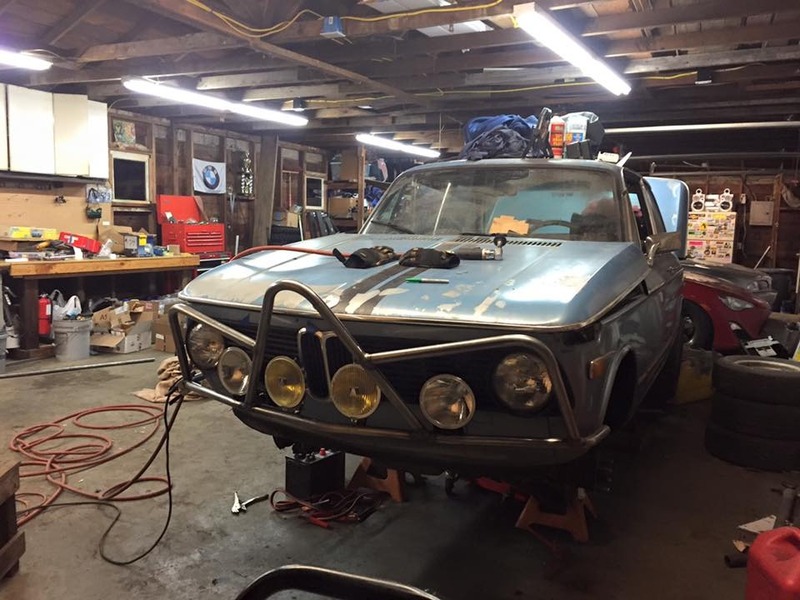 The car was originally Fjord and although the bottom half was still in okay shape, the top half had been repainted several times and was coming off in places. I wasn't really interested in doing a super nice and expensive paint job knowing what this car will get used for. 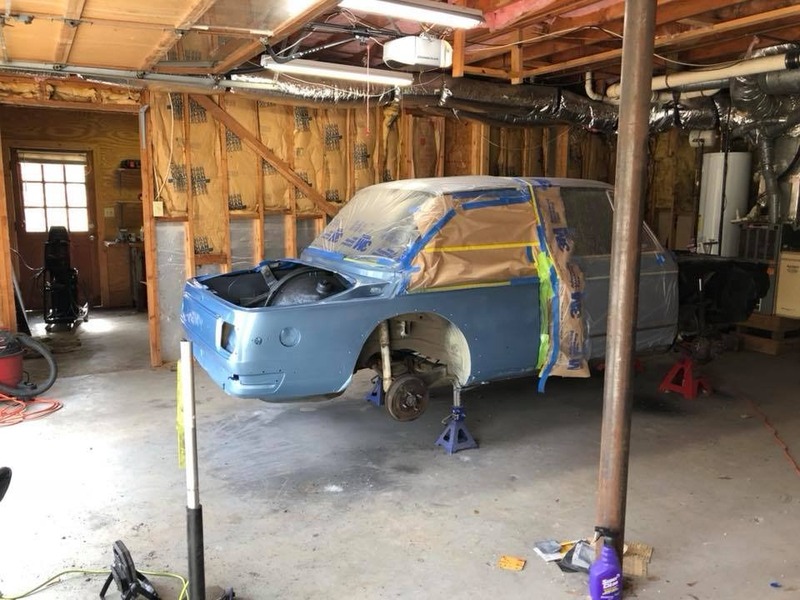 I decided that with the help of my neighbor who works at a paint shop we could do the re spray pretty cheap in my garage. The paint wasn't an exact match for Fjord, I think what we used was a bit more vibrant blue, but overall it's good from a few feet away. I was never really concerned beyond that. You can see the original door panel here is a bit lighter than the new rear section. 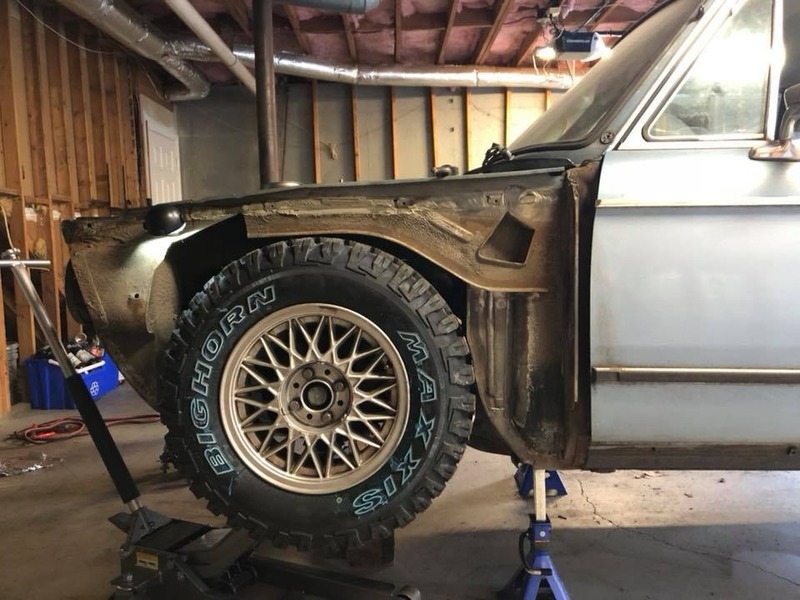 The only solution was to cut this whole section out and create a box section that extended back in to the cabin to accommodate the larger tire. 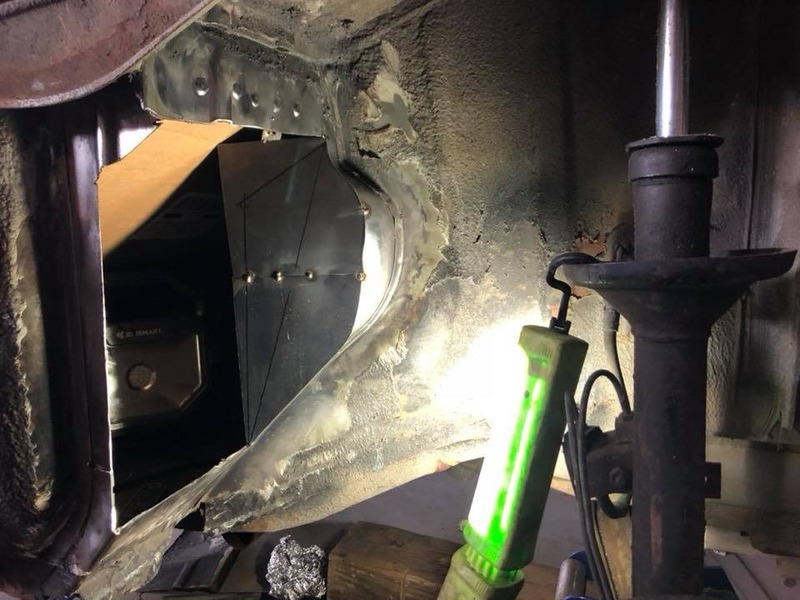 This was really the first part I tried to weld completely on my own. It went well in some places and poorly in others. View from the inside of the new section. I couldn't make this one as big as I would like without it interfering with the clutch pedal travel. 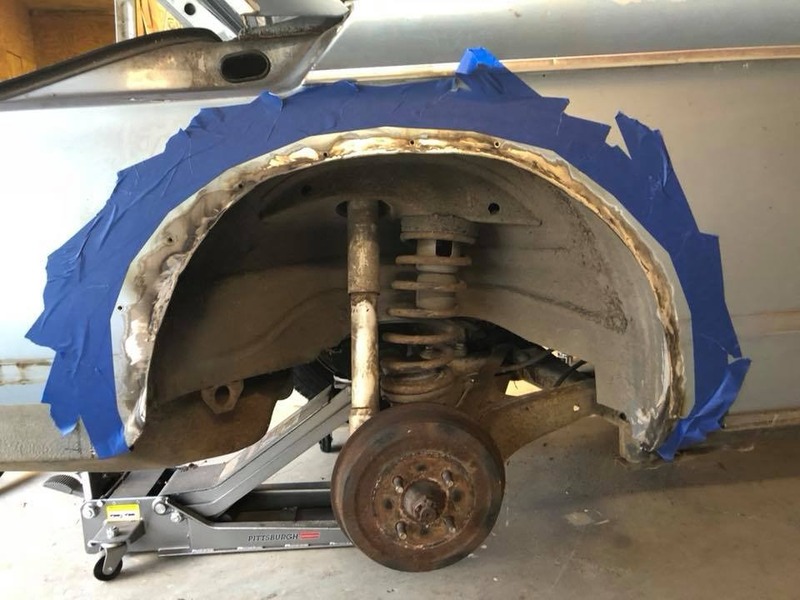 This allows for most of the wheel travel without any rubbing. I bet I will rub if I come down hard while turning sharply, but I think that is an uncommon scenario. It should be easy to cut more away and extend the box wherever I need to though if I find more interference later. At this point the car was starting to take some shape how I wanted even though it was still on the stock suspension. Suspension was the next hurdle. 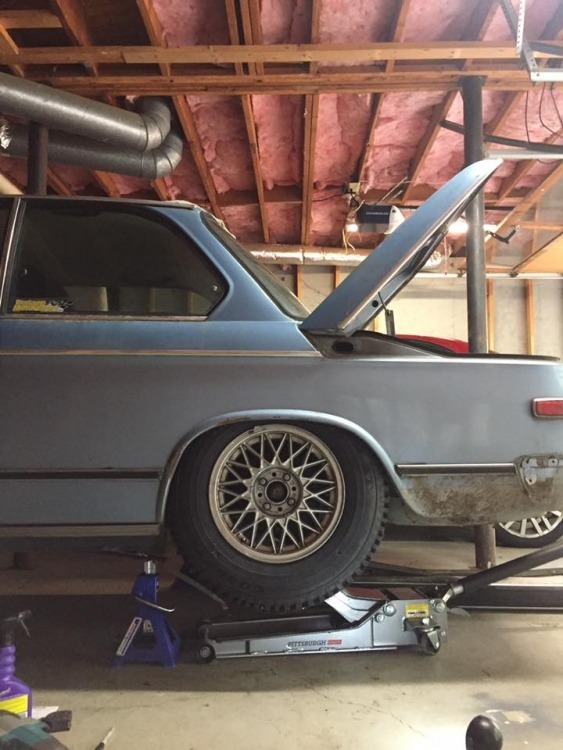 With all the added weight in the front from the M20 and gearbox, the front was sitting pretty low and the rear was super high when I removed the rear bumper. I figured I'd start in the front and work towards the back. As part of this project, I really wanted to have a lifted suspension, and not just a body lift. As this is something nobody makes, I was going to have to build my own. I didn't really know what I wanted the overall heigh to be, so I also wanted something adjustable. I also wanted larger diameter shock inserts for some added durability. Here is the completed new from strut. I think overall this is roughly 1.5" taller than the stock units. 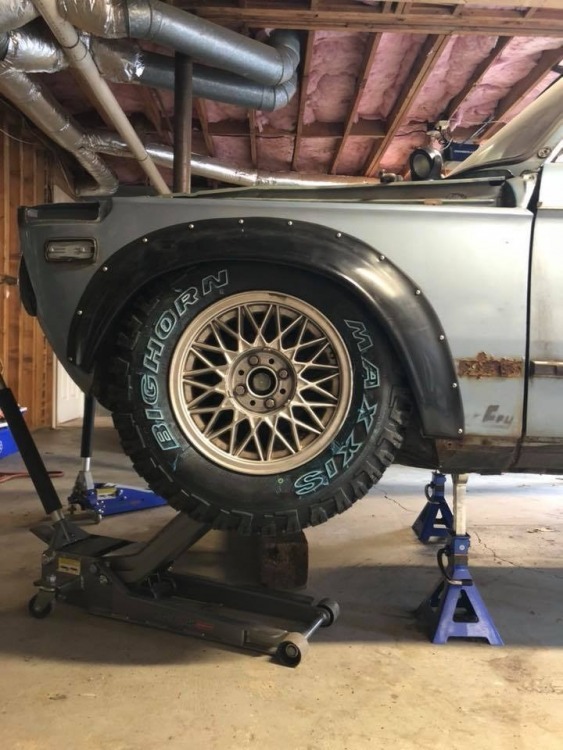 If I did it again, I would have gone for slightly less, maybe 1" lift, and then allowed for use of spacers on the top mount. The springs I just guessed at for now. 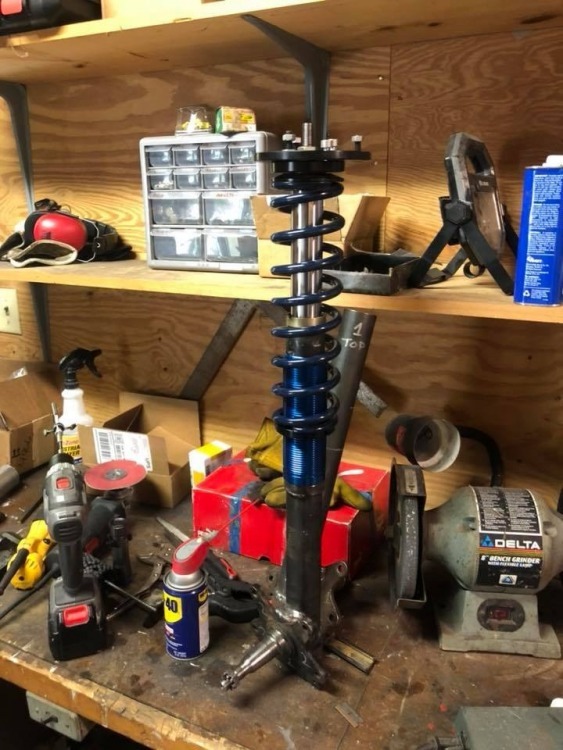 I had the stock springs measured for their rate on a shock dyno and just got the same rate (250lb/in) but with a 2.5" spring for now. The new struts don't add any travel. It's still roughly 6.8" as it was stock. 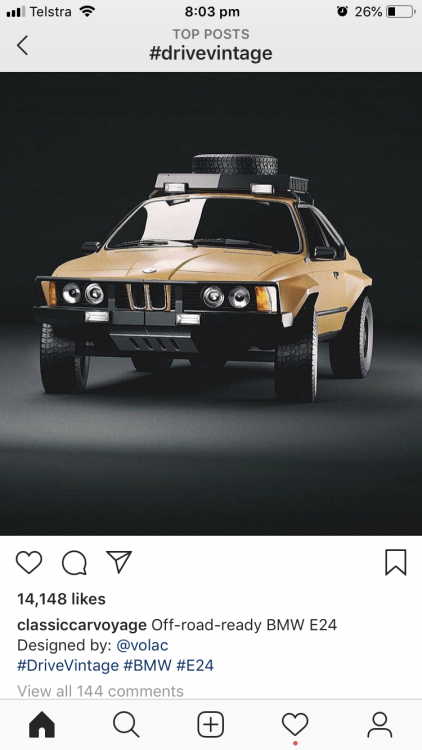 Obviously I would like more but for now with the small size of the wheel wells and large tires size I don't think I can achieve any more than that within logical limits of the suspension design (which isn't really meant for this). I will eventually come back to this and make a new version but for now this should be good. Installing the new coilovers. As I said, I didn't get all the lengths quite right but for now it's in the right ballpark. I know I've created some new problems with the geometry and the steering but these are all things I have plans for fixing in the future. 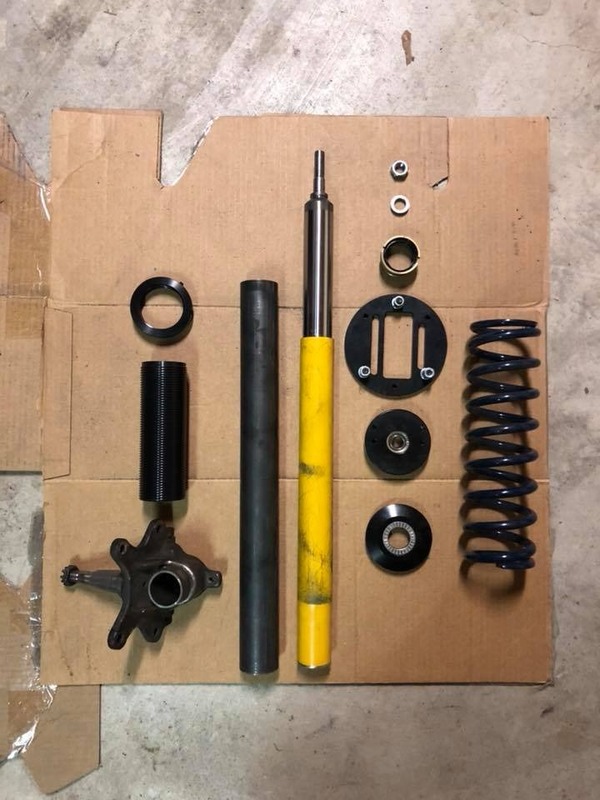 Ideally I'd like to modify the subframe to have rod ends for the control arm mounts instead of the bushings, and not have the control arm inner pivot in single shear. 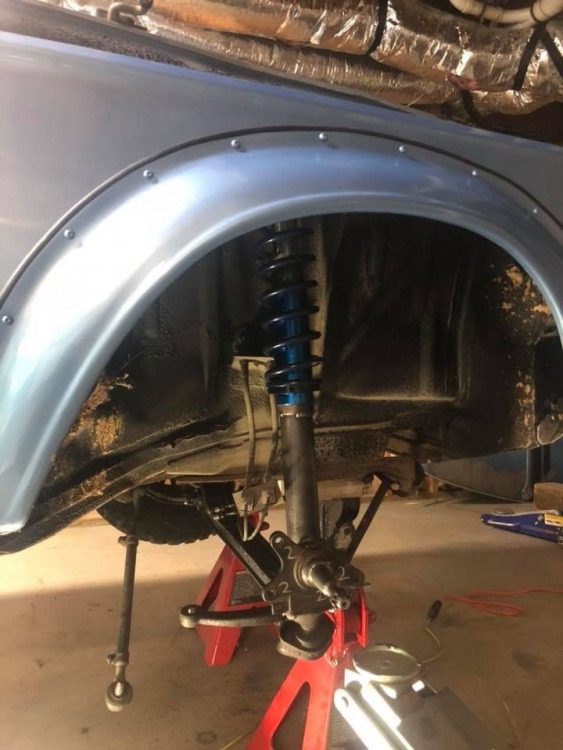 I would also like to make longer control arms to push the wheel out slightly and correct some of the positive camber i've gained from the lift. I also need to move the steering arm upwards on the body of the strut, back to where it should have been before the strut was lengthened. I can now dial in the front to make the car sit relatively level. However, there is still no weight in the back and the rear suspension remains untouched for the moment. Unique build I like it good work, for future reference you'll find it much easier to weld the later 74-76 rear wheel wells buy cutting the inner fenders long enough to fold over the outers and then weld on the flat that way you won't get the glue from the reinforcement dripping down into the weld and splattering. Yep. Cut the outers, then cut a bunch of slits in the inners. 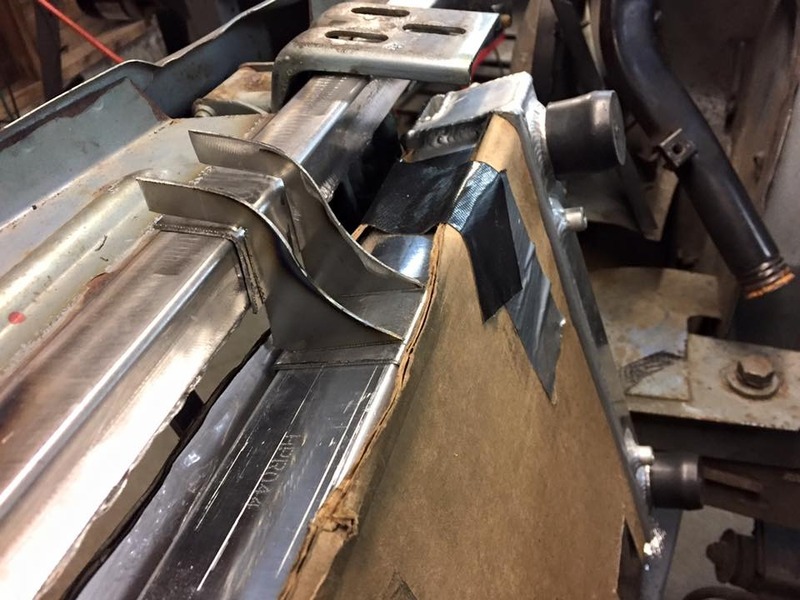 Bring them up to meet the outers and weld so they are horizontal. Ended up being nice protection for the fiberglass box flares on my 02. Thats actually a wonderful idea. Besides my inexperience, the melting glue I think was a big part of the problem. I tried to dig and burn out all the sea lent that I could but some parts I just couldn’t. I did slice the inner and fold it up to the outer panel, but I didn’t think of folding it all the way around to make a sort of lap joint. Thanks. Your build is awesome. 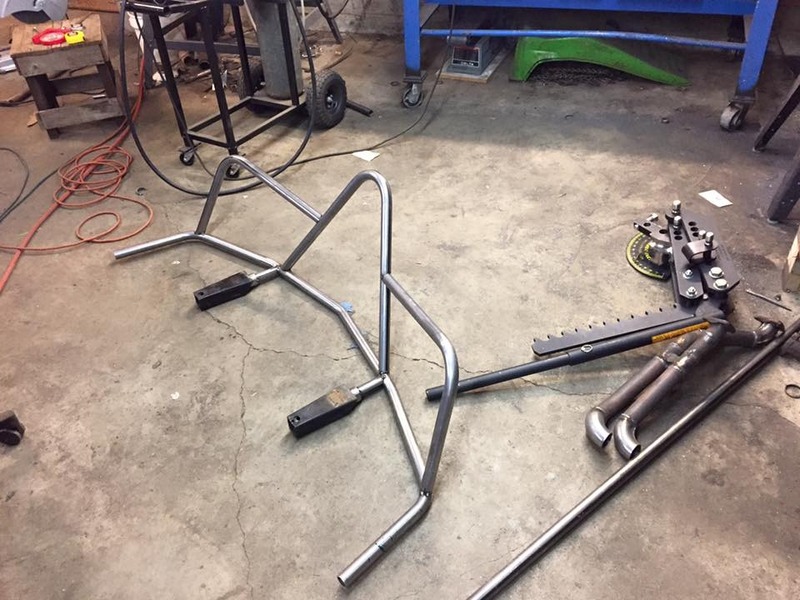 Loving your fabrication skills.